A seamless end user experience is an important product differentiator, and to ensure that , it is critical to monitor actual end-user interaction and determine if your applications are running optimally. With businesses expanding at a global level, it is more important to measure customer experience from different geographical locations. 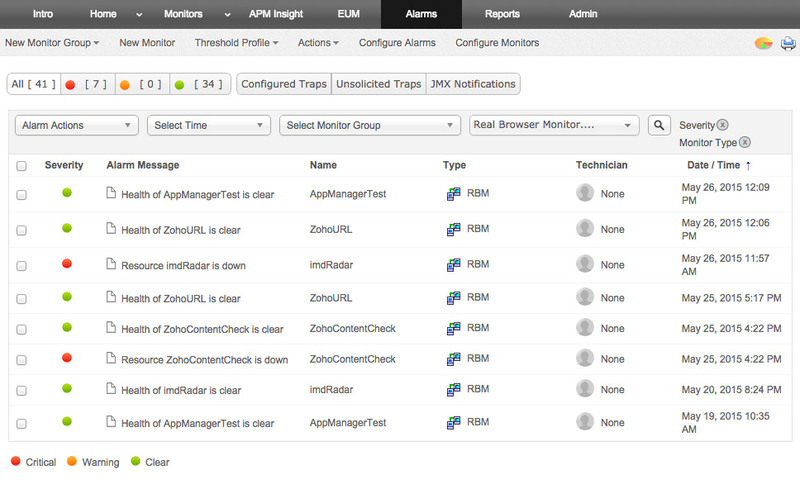 Using the recorder, you can easily record web transactions ,and then replay the sequence in EUM agents. The recorded sequence is played back in a browser to mimic user behavior and collect the necessary metrics, which are sent to Applications Manager, providing a consolidated view of the data collected across all the agents for easy perusal. 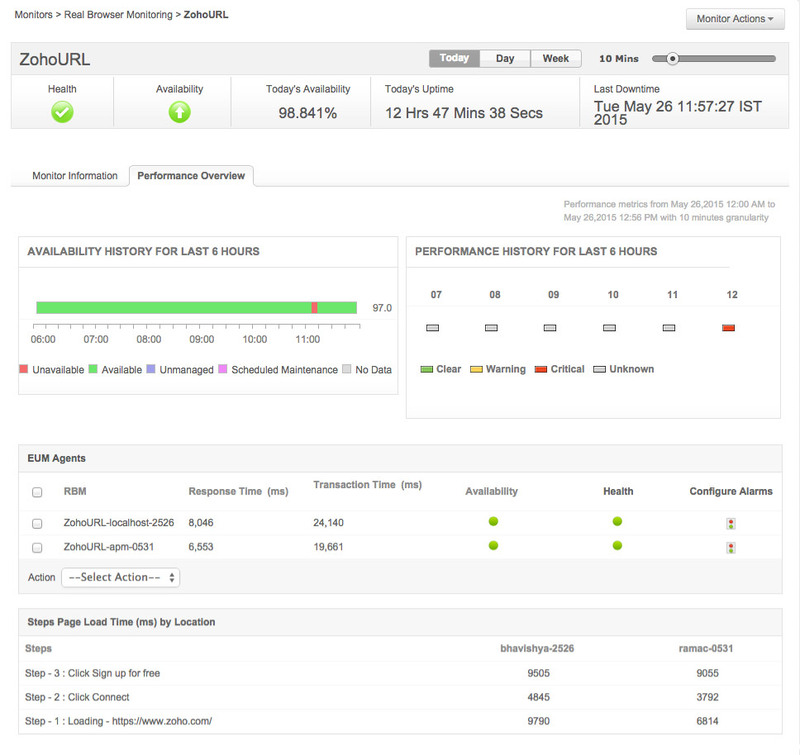 You can proactively monitor the availability, response times and page loading time of the recorded web transactions and the individual URLs, helping you troubleshoot issues faster and enhance customer experience. 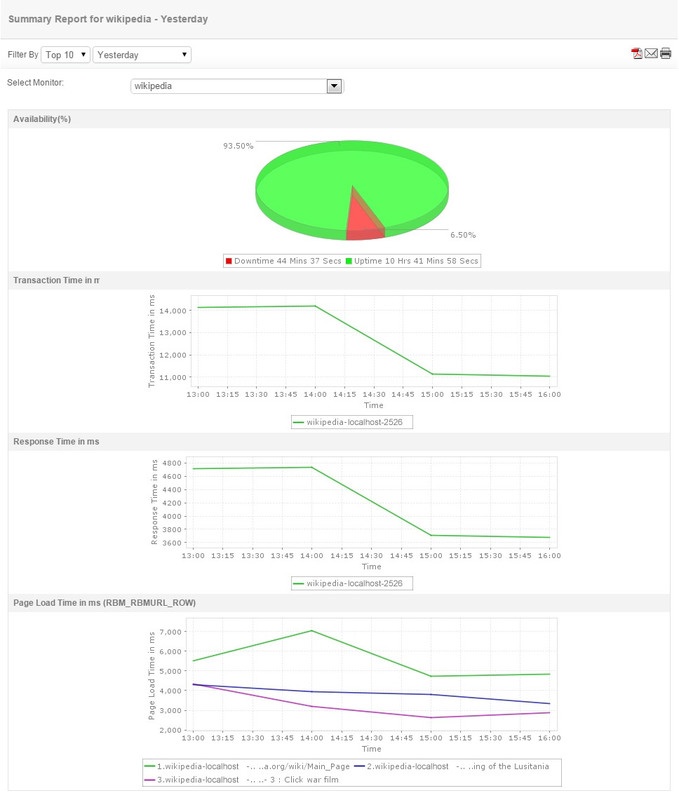 Applications Manager can be running in your data center ,while you can also have EUM agents deployed in other geographical locations and have them report web application performance data to the central site. 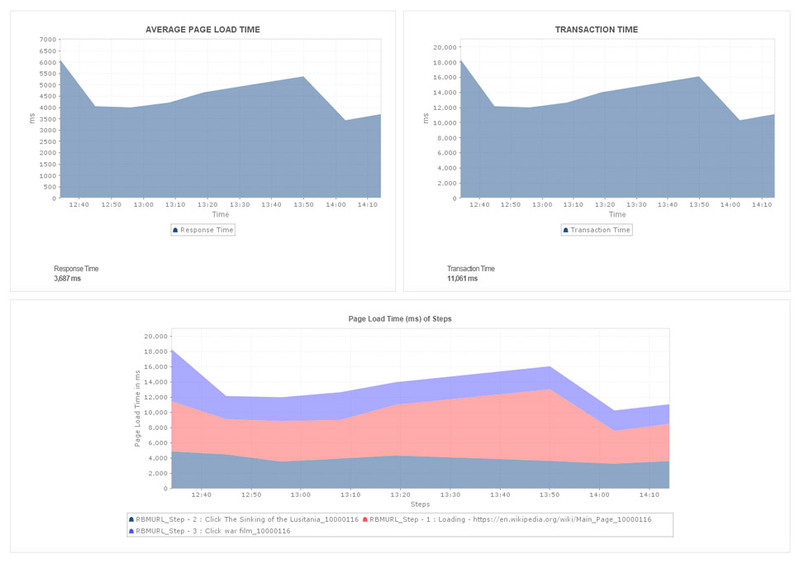 Using Real Browser Monitor, you can get the actual response times of the website transactions dynamically. It waits for the entire page to load inclusive of the media content, along with the text. Also, since the transactions are replayed periodically the metrics obtained are also dependent on the user traffic, network lags and other real time factors thus providing a more accurate idea of what the user is facing. Alerts can be generated to check if a particular keyword exists in the page, that is being monitored. This way, you can detect any error or missed value in a particular web page and keep track if a particular link redirects to the correct page. Apart from this, availability and response time of the recorded URLs will be monitored according to the poll interval set and alarms are configured based on threshold configurations. With the help of comprehensive reports and out of the box dashboards, get to know more about the health, availability, downtime and response time of the web application or website across all locations. 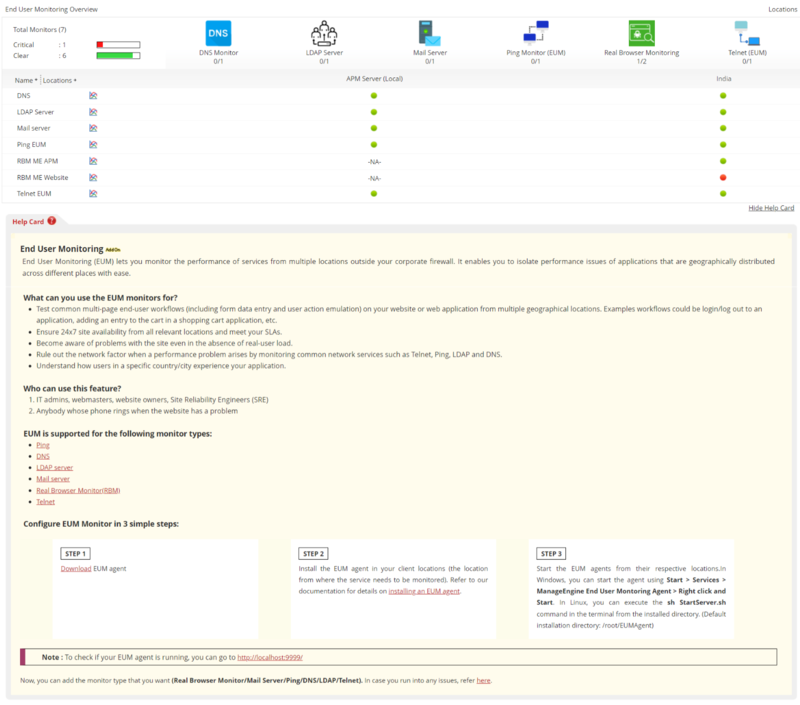 Note: Real Browser Monitor primarily supports Firefox and Internet Explorer.